East Shopping Centre, Europe’s first purpose-built boutique Asian shopping centre, will be hosting an exclusive meet and greet with international film star, Anil Kapoor on Saturday 20th August 2016 from 11am. Lucky fans will have the opportunity to meet and snap selfies with one of Bollywood’s biggest superstars, who will be in London promoting Season Two of his explosive TV series, 24 on Colors TV. He is reprising his role of anti-terrorism agent, Jai Singh Rathod, which was inspired by Kiefer Sutherland’s iconic tortured hero Jack Bauer. 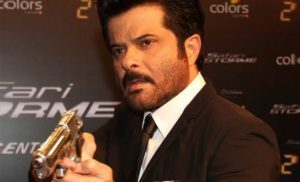 Anil Kapoor’s adaptation of 24 is as thrilling and gritty as the original, with season two seeing Rathod facing terrorists who have threatened to release a deadly virus across India. Kapoor has successfully crossed over to Hollywood, starring in major blockbusters like the Oscar-winning Slumdog Millionaire, Mission Impossible: Ghost Protocol, with Tom Cruise, as well as the original 24 series with Kiefer Sutherland.